Winner of the DSTV Eat In Award 2012 - Free Range Category. Croft Farm Chicken produces Grain Fed, Free Range Chickens & Chicken Products, free of growth promoters and antibiotics and animal by-products. 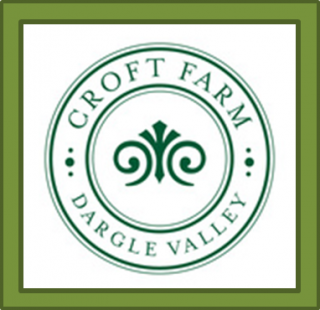 Croft Farm is a small chicken farm situated in the lush Dargle Valley of the Kwazulu Natal Midlands owned and run by Chris and Kandy Slater. Our chickens are grain fed, free of growth promoters and reared in a low density FREE RANGE environment. Our feed does not contain any animal by-products and our chickens do not receive any anti-biotics, we keep them healthy with vitamins and a scheduled vaccination program. Our staff who prepare the delicious products we produce have more than 35 years experience between them at Croft Farm. A selection of our products are available at the Karkloof Farmers' Market .